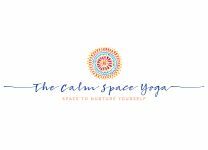 Enjoy gentle Yin and Restorative Yoga with Karen, followed by a blissful and relaxing sound journey with Nicole Shields of Holistic Serenity. Nicole is an experienced holistic healing practitioner and sound therapist. Using seven crystal singing bowls that correlate directly with each of the chakras, Nicole will help you discover a deep and calm state of meditation. This very special experience is suitable for all ages and abilities, including complete newcomers to yoga. It will be a wonderful experience for anyone with anxiety, stress or fatigue, or indeed for anyone at all. Please bring a yoga mat if you have one. You may also like to bring a cushion or pillow and blanket for your comfort during the sound journey.